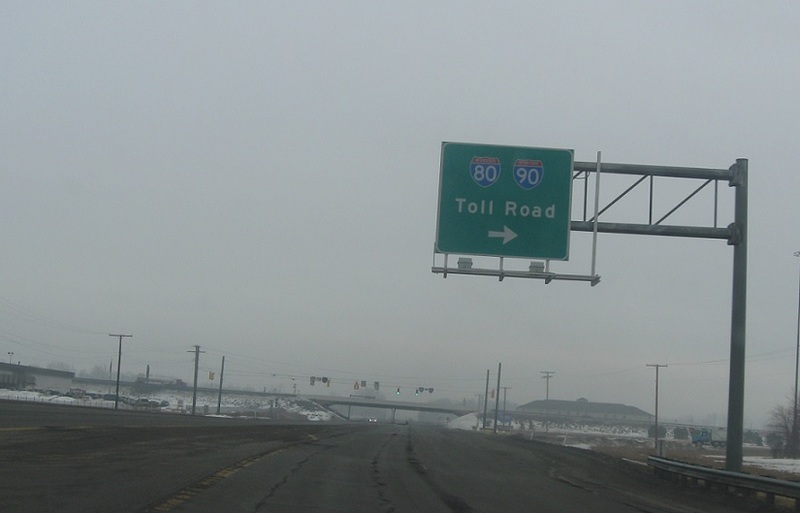 Just as we enter Indiana, we’ll approach Interstates 80 and 90. 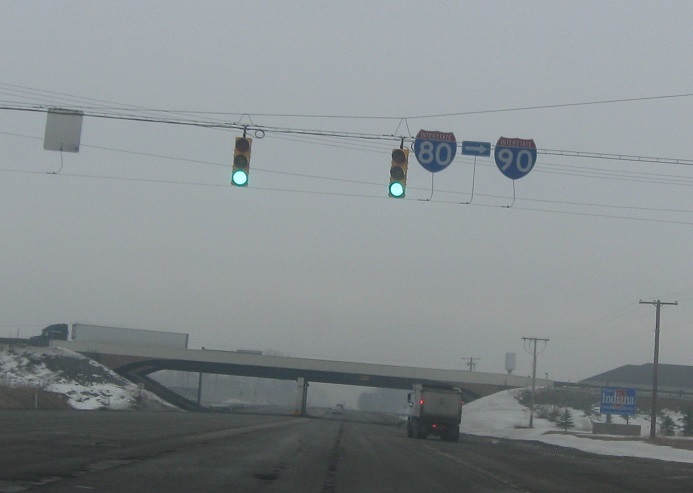 Exit right for I-80/I-90 in both directions. 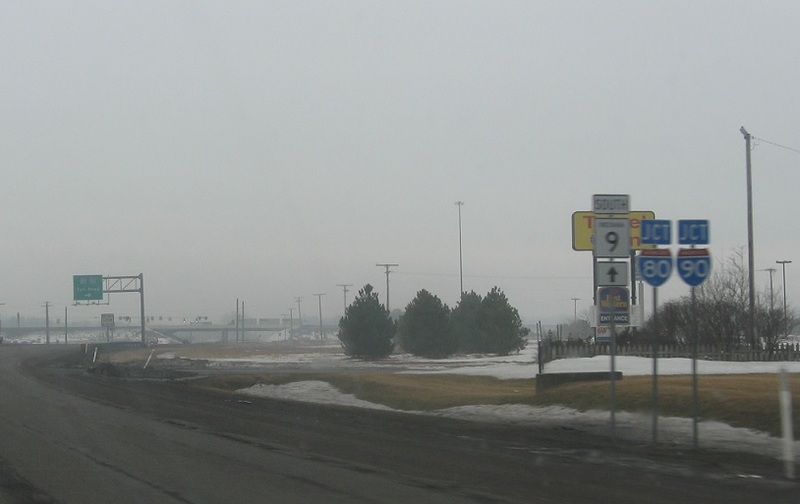 Overhead signage at the turn.